Women and the Nobel Prize: These female physicists deserve a physics Nobel. Following in Einstein’s footprints: Vera Rubin, one of many female scientists deserving of a Nobel Prize in Physics. To find out who among the ranks most merits the Nobel Committee’s consideration, I informally polled prominent physicists, science journalists, and scientific society representatives. Five names came up over and over and are featured first, not in order of achievement (who can make that determination?) but in alphabetical order. Five others also received multiple votes, and are featured next. Numerous others received mentions. Any list like this will inevitably leave deserving people out, and probably this list is biased toward U.S.­–based physicists. It is not intended to be comprehensive or a “top 10 list,” or to be the last word on the topic, but rather to spark a discussion. And most importantly, it is intended to show that the 51-year streak of male physics laureates cannot be blamed on a lack of viable female candidates. So with that out of the way, let’s hope to soon see this tired streak broken by a third—and fourth and fifth—woman accepting the Nobel Prize in Physics. 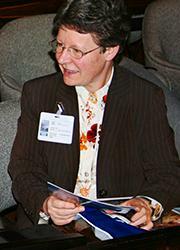 Jocelyn Bell Burnell, January 2009. It soon became clear that pulsars are extremely dense, rapidly rotating neutron stars, which themselves are the remains of mammoth stellar explosions called supernovas. Each pulsar sends out an intense beam of light, and sometimes, as with the pulsars Burnell discovered, the sweep of this beam includes Earth. We now know that pulsars litter the galaxy. Astronomers have identified more than 2,000 of these cosmic lighthouses, and when the Square Kilometer Array telescope comes online next decade, they expect to add tens of thousands more. Pulsars have led to two Nobels: the 1974 prize for Hewish and Ryle, and the 1993 Physics Nobel for Russell Hulse and Joseph Taylor, who used a double pulsar system to demonstrate evidence for gravitational waves, a major prediction of Einstein’s general relativity theory. Had Burnell done her work more recently, things might have gone differently: The Nobel committee has become more open over the years to rewarding junior researchers. Burnell herself has expressed varying opinions about the Nobel Committee’s decision. In a 1977 speech she said she did not feel she deserved the prize, but more recently, including in a 2004 essay in Science, she has suggested more strongly that her student status and gender may have contributed to her omission. It seems highly unlikely the Nobel Committee will award a second prize for the same decades-ago discovery, leaving Burnell as one of the most deserving living physicists, female or not, to not have a Nobel. Mildred Dresselhaus, May 7, 2012. Mildred Dresselhaus made a career in carbon, a protean element capable of forming an almost endless variety of shapes and structures. She began her career studying the unrelated phenomenon of superconductivity; a talk she gave on her graduate research at the University of Chicago wowed two-time physics Nobel laureate John Bardeen (whose second Nobel would later be awarded for helping develop a theoretical understanding of superconductivity). Dresselhaus and her husband, Gene, also a physicist, moved in 1960 to MIT’s Department of Defense–funded Lincoln Lab, largely because MIT was one of the few universities at the time where a husband and wife could serve on the faculty simultaneously. Mildred Dresselhaus became a MIT faculty member in 1967 and remains one to this day. At Lincoln Lab, Dresselhaus began studying carbon, partly because her supervisor thought superconductivity was a dead end and partly, she has said, because she just about had the field to herself. (The modern electronics industry was just taking off and most people in solid-state physics were focused on semiconductors.) Dresselhaus instead used lasers, which themselves had just been invented in the late 1950s, to probe carbon compounds. She showed that heat, electrons, and magnetic fields behave very differently inside thin sheets of carbon than they do in more familiar 3-D structures. She predicted that sheets of graphite—the form of pure carbon that makes up pencil “lead”—could roll into tiny, cylindrical carbon structures called nanotubes. She later showed that depending on how these tubes were rolled, they could be either semiconductors or amazingly good electrical conductors. Scientists confirmed many of her predictions after single-walled carbon nanotubes were invented in 1993. Dresselhaus’ research helped spark an explosion of research, much of which is now part of the field called nanoscience. Recognizing her foundational work, the Kavli Foundation awarded her its million-dollar Kavli Prize in Nanoscience in 2012. She has also won the National Medal of Science and many other awards. Carbon research has yielded two Nobels: the 1996 chemistry prize to Robert Curl Jr., Harold Kroto, and Richard Smalley for the discovery of buckminsterfullerene (also known as a buckyball), and the 2010 physics prize to Andre Geim and Konstantin Novoselov for creating a single-sheet form of carbon known as graphene. Dresselhaus’ research presaged both discoveries. 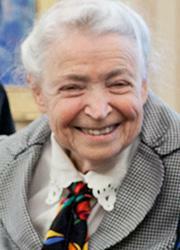 If there were going to be a third carbon Nobel, Mildred Dresselhaus would surely be on the shortlist. In 1999, Danish physicist Lene Hau, of Harvard University, slowed light to the speed of a car driving down a residential street, and then to less than the speed of a weekend bicycle rider. Finally, in 2001, Hau and her colleagues stopped light cold. To create their remarkable optical brakes, Hau’s team used a Bose-Einstein condensate: a strange form of matter requiring extremely low temperatures, which was produced for the first time only in 1995 (leading to the 2001 Nobel Prize in physics for Eric Cornell, Wolfgang Ketterle, and Carl Wieman). Hau’s group made its first Bose-Einstein condensate in 1997, using precisely tuned lasers and other techniques to cool a cloud of sodium atoms to just above absolute zero, at which point the atoms join into a single quantum state. Hau then discovered that she could use other “control” laser beams to change how her Bose-Einstein condensate behaved. If she sent a beam of light into a condensate and turned off the control laser at just the right time, particles of the light beam could remain trapped in the condensate, re-emerging only when the control beam was switched on again. In 2001, Hau and her team announced they had trapped light for around a millisecond. In later experiments Hau and colleagues transferred information from trapped light to matter and back again. Such precise control over trapped light could be critical for future quantum computing and cryptography applications that use light as an information carrier. When Hau first applied for National Science Foundation funding for her light-slowing experiments, funders rejected her proposal, saying her background as a theoretician hadn’t prepared her for the difficult experiments she was proposing. Hau found private funding instead (and later received a MacArthur Fellowship) and used it to perform some of the most pathbreaking experiments in physics. She no longer has trouble getting funding, and many commentators believe a Nobel Prize is probably on the way. 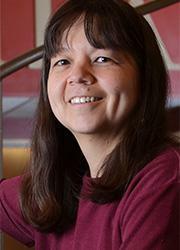 Like Lene Hau, Deborah Jin of the research institute JILA in Boulder, Colorado, works with very cold, condensed atoms. But Jin has an added challenge: The particles she works with don’t like to condense. The Bose-Einstein condensates Hau used to stop light are made of atoms that fall into a class of particles known as bosons. Bosons have integer amounts of a property called quantum spin; in other words, their spin takes a whole number like 0, 1, 2, etc. Quantum mechanics predicts—and numerous experimental groups have now shown—that such particles will fall into the same quantum state if prepared carefully at very cold temperatures. Bosons’ sister particle type, fermions, have half-integer spins (1/2, 3/2, etc.) and are loners. They don’t like to share a quantum state. But they have a property that makes them pair up under certain conditions at cold temperatures, and these fermion pairs can act like bosons. In 2003, Jin’s group and two other research groups used strong magnetic fields and laser cooling to turn fermion pairs into a condensate much like a Bose-Einstein condensate. But then Jin and her colleagues went a step further, using electromagnetic fields to coax individual, unpaired fermions into a condensed quantum state for the first time. On top of being a stunning technical achievement, Jin’s fermionic condensates provide a new way to study superconductivity and other aspects of electricity. She has already won a MacArthur Fellowship and numerous other awards. If the Nobel Committee decides to award another prize for cold condensed matter, Jin seems like a strong contender. 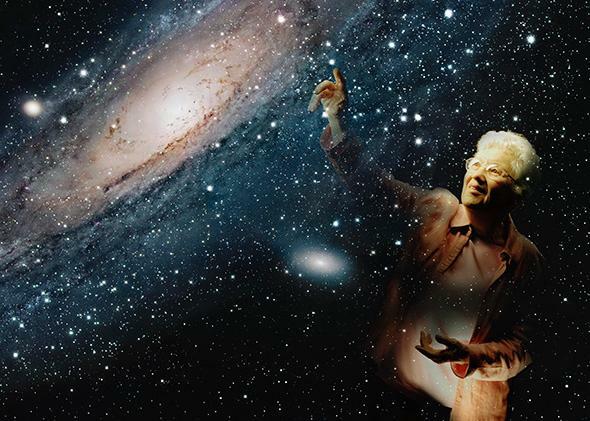 More than one commentator has questioned why astronomer Vera Rubin has not won a Nobel Prize for her precise calculations of galactic rotation speeds. In the 1960s and 1970s, Rubin and colleague Kent Ford at the Carnegie Institute of Washington measured light coming from stars in the nearby spiral galaxy Andromeda. The scientists found that stars far from the galaxy’s center were moving as fast as ones closer in. Based on astronomers’ understanding at the time, this meant the outer stars should have been flying off into space, because the gravity of the matter they could see in the galaxy was not nearly strong enough to keep the stars in orbit. Rubin and Ford repeated their measurements for more than 60 other galaxies, with similarly startling results. Based on this work and other evidence, most scientists now agree that some unseen “dark matter” makes up around 85 percent of the universe’s matter and holds galaxies together. It’s hard to imagine a greater revolution in our understanding of the universe. No actual dark matter particle has been found, which might help explain the Nobel Committee’s hesitation to award a prize for it. But such concerns didn’t stop the committee from giving the 2011 physics prize to three men—Saul Perlmutter, Brian Schmidt, and Adam Riess—who found evidence for the accelerating expansion of the universe, even though the “dark energy” driving this acceleration remains at least as mysterious as dark matter. At the Harvard-Smithsonian Center for Astrophysics in Cambridge, Massachusetts, in the 1980s, Margaret Geller and colleague John Huchra began an ambitious project to map the universe at its largest scales. To determine where the universe’s objects actually are, the researchers surveyed the light from thousands of distant galaxies. As objects move away from an observer, their light becomes redder; the degree of this redshift indicates the objects’ distance from Earth. By surveying thousands, and later tens of thousands, of galaxies, Geller and Huchra discovered that these galaxies are distributed not randomly, but rather in enormous and well-defined structures. The largest of these structures is the astonishing Great Wall, a band of galaxies that stretches more than 500 million light-years across. Geller’s and Huchra’s work revolutionized astronomers’ understanding of the universe’s large-scale structure and laid the groundwork for other studies such as the Sloan Digital Sky Survey. Like many of the scientists featured in this article, Geller has won a MacArthur Fellowship and many other awards. From 2009 to 2013, Italian physicist Fabiola Gianotti was the coordinator and spokeswoman for the nearly 3,000-person ATLAS collaboration, one of the largest coordinated scientific efforts of all time. ATLAS is the name of an enormous 25-meter-high particle detector installed at the European Organization for Nuclear Research’s (CERN’s) Large Hadron Collider in Switzerland and France. In 2012, Gianotti announced at a press conference that the ATLAS team had discovered a particle with properties similar to the Higgs boson, predicted almost 50 years earlier. The announcement, along with one from the sister experiment the Compact Muon Solenoid, ended one of the longest searches in physics history. Peter Higgs and François Englert won the 2013 Physics Nobel for predicting the Higgs field (and the associated boson) in the 1960s, completing the Standard Model of particle physics. Whether the Nobel committee awards a second prize for the experimental work needed to actually find the Higgs remains to be seen, but if it does, Gianotti would be a strong contender. The lasers in the lab that Irish physicist Margaret Murnane and her husband, Henry Kapteyn run at JILA at the University of Colorado are among the fastest devices in the world. They can unleash stable, controllable pulses of light that last less than one femtosecond, or one quadrillionth of a second. To put that in perspective, there are more femtoseconds in a second than there are hours in the age of the universe. A pulse from one of Murnane’s lasers can essentially take a freeze frame of ultra-fast atomic-scale phenomena such as chemical reactions. Scientists around the world now use lasers based on Murnane’s titanium-sapphire design to study a wide range of phenomena. She and Kapteyn started their own company, KMLabs, and she has won a MacArthur Fellowship, among many other awards. Whether pushing laser physics to new speed records is a “basic” enough accomplishment for a Nobel Prize is open to debate, but it’s certainly worthy of consideration. In the 1970s, working at Harvard and Stanford, Australian particle physicist Helen Quinn was studying a hard problem: Why does one of the universe’s fundamental forces—the strong nuclear force—seem to preserve a certain fundamental symmetry? The symmetry in question is known as CP-symmetry, according to which the universe would behave the same if it were turned into its mirror image and its matter were replaced with antimatter. In 1977, Quinn and her collaborator Roberto Peccei, formulated the most elegant solution to this problem to date, known as the Peccei-Quinn theory. Among other things, the theory predicts the existence of a new particle, the axion, which is also a dark matter particle candidate. Unfortunately, the axion, if it exists, is very difficult to detect. No experiment has yet found it, though researchers with the Axion Dark Matter Experiment at the University of Washington in Seattle are making the best attempt yet. If an axion shows up, a Nobel Prize for Quinn seems likely. Harvard’s Lisa Randall may be the most public figure on this list: She has written two well-received books and appeared on Time’s “100 Most Influential People” list, and she is a popular speaker for nonscientist audiences. 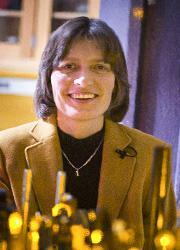 She has also done more than almost anyone to develop the mathematics necessary to unite quantum theory and general relativity into a “theory of everything.” Much of Randall’s work has focused on developing theories that involve extra dimensions, which might help solve a major problem in theoretical physics: why gravity is so much weaker than the other three fundamental forces in the universe. In some of Randall’s best-known theories, gravity extends into a fifth dimension that we don’t experience. The women on this list have collectively received almost every honor available to scientists. But despite the recent proliferation of scientific awards, including some with purses larger than the Nobel, the prize established in 1895 by the Swedish dynamite inventor still carries unrivaled cachet both within science and among the public. It’s time for the Nobel Committee to recognize some of the great women who have pushed their way into a nearly all-male world and, in the process, pushed physics forward. Give some of them the prize already!